Springtime brings excitement to re-discover the outdoors. From hiking through the Sleeping Bear Dunes to surfing on Lake Michigan, Empire is the destination that has it all. Make a day of it by stopping at one of our local eateries on your way out of town. 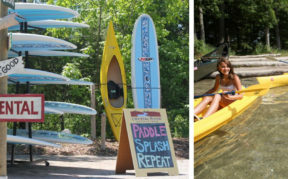 Canoe and kayak rentals will once again be available seven days a week starting May 12th. 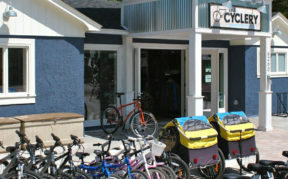 Opens May 10th for bike rentals and repairs seven days a week for the summer. 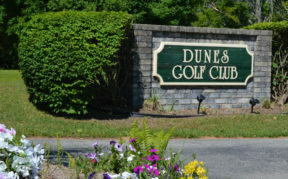 Thursday Men’s League will start May 17, provided all the snow has melted off the fairways. League rules available online. Guided Wildflower Hikes in the heart of the Sleeping Bear Dunes! Springtime offers a chance to find out what’s doing the blooming so bring a friend and enjoy a guided hike. Bring your camera and your binoculars. Hikes are rain or shine. 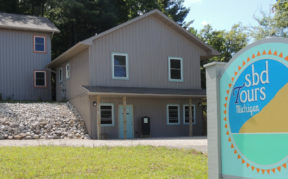 Classes and lessons are held at the Empire Public Beach and will begin next month, in June. There are also two camps available later in the summer. 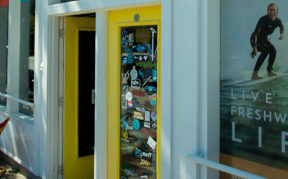 Surf lessons are held Monday, Wednesday, and Friday mornings, while SUP Core Fusion classes will be Wednesday evenings.